Publication: The Sky’s the Limit: UAS Regulation and Changing Applications in Agriculture, 8 Ky. J. Eq. Ag. & Nat’l Res. L. (2016). 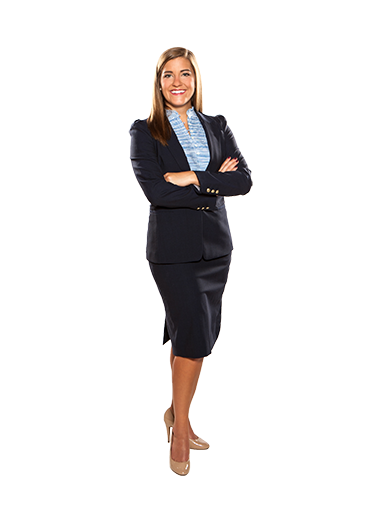 My practice is largely focused on the areas of commercial lending and banking litigation. From drafting loan documents to enforcing creditors’ rights, I work in all phases of the lending process. I am a very detail-oriented person, and I have a significant appreciation for objective rules and standards. In my area of practice, these traits allow me to better understand my clients’ needs and provide high quality legal advice. Though it may sound cliché, I became a lawyer to help people. Through law school, I acquired a set of unique skills that I now use every day. Being able to take something I enjoy and apply it to help others is one thing that I hope to never take for granted. As attorneys, we have a responsibility to our communities and our profession to maintain a level of integrity and reverence for the law. I continually strive to achieve something bigger than myself, and being an attorney is one of the best ways I am able to do that. It is incredibly important to handle client matters in a time- and cost-efficient manner. Clients want to know that you care about their case, and staying organized and regularly advising your clients is the best way to showcase that commitment. I am passionate about the law, and I am always searching for ways to improve it. At times that means working to enforce the laws we currently have, and at others that means advocating to change them. My job is to do the best I can for my clients and never lose sight of that goal. I am a graduate of Transylvania University and an Alumni of the Chi Chapter of Chi Omega Fraternity. I currently serve on the advisory board for Chi Omega at Transy. I love that I still get to participate in various Greek life and campus events. I am a member of the Hearing Officer Board for the Lexington Parking Authority, which allows me to engage with the wider Lexington Community. Additionally, I coach the Henry Clay High School swim team. Featured Alumni Speaker, Kentucky Governor's Scholars Program. The Real Battle Royale: Life after GSP, a presentation on setting the bar high - and exceeding professional expectations.